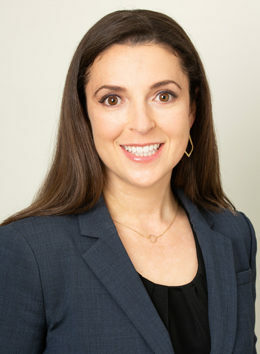 Laura M. (Ginn) Stornetta is an associate attorney in the firm’s Injury Resource and Litigation Group. Laura’s practice is focused on representing California’s injured peace officers and first responders as well as both private and public sector union employees in workers’ compensation claims. Prior to joining RLS in 2018, Laura spent eight years working as a defense attorney for the state’s first workers’ compensation firm, and as House Counsel for the largest writer of workers’ compensation insurance in the state of California. As a defense attorney, Laura’s keen eye for detail and non-stop energy was highly sought after to bring high-value, complex cases to conclusion whether through creative settlement or trial management. She has represented Fortune 500 companies, insurance companies, self-insured employers, governmental entities, municipal agencies, and special districts on a variety of workers’ compensation issues including: coverage disputes, Labor Code section 132(a) claims of discrimination, Labor Code section 4553 allegations of serious and willful misconduct, and civil subrogation. Laura’s legal career began as a Deputy County Counsel for a North Bay municipality, where she worked closely with the Public Conservator, Juvenile Dependency, and represented the County in a variety of litigation matters, including Pitchess motions. Laura is a native of Sonoma County. She graduated with Departmental Honors from University of California at San Diego with a Bachelor of Arts in Communication, and a minor in Modern European History. She worked in politics and non-profit management until earning her law degree from Indiana University Maurer School of Law in Bloomington, Indiana where she was a Merit Scholarship recipient. At both UCSD and Indiana University, Laura was actively engaged in the student community and leadership. She also studied abroad in Spain as both an undergrad and law student. Laura lives with her husband in Alameda. She is a PADI certified divemaster and loves all ocean-based recreation, the gym, snow skiing, traveling the world, and every day food and beverage adventures.